South Side Storage is a brand new company created by people with over 30 years of experience in the removal and storage business in Perth. We are proudly wholly Western Australian owned and family-operated, and offer an unparalleled level of personalised service to our clients. Our team of friendly and professional in-office staff and storage experts have a wealth of experience in the storage industry and will ensure that we have you, and your possessions covered! Our storage facilities in Forrestdale are brand-new and state of the art, ensuring that your possessions are taken care of. Our storage units are camera-monitored 24-hours a day and protected by security gates. They are also only accessible with an individual pin code, provided to you the day you store you furniture and possessions with us. Our storage units come in a range of sizes to ensure that whether you’re storing the contents of your entire home or a few items of furniture you don’t need right now, we have something to suit your requirements. To ensure that you have everything you need, we also offer a range of packing materials from packing tape to bubble wrap! At South Side Storage, we offer a combined pre-packing, removal and storage package! Our team of removalists and storage experts will come to your home or office to pack and transfer your furniture and possessions to your new home or office, and any excess items to our storage facility. That way on moving day, you can relax and leave all of the heavy lifting to us! Our friendly team of removal and storage experts will work closely with you to cater a package perfectly suited to your budget and requirements. We will communicate with you throughout the entire process to ensure that you, and your possessions are taken care of! For more information about our services, please call us on 9498 1666! At South Side Storage we believe that the quality of our customer service sets us apart from our competitors. Our company is Western Australian family-owned and operated, meaning that we can offer you an unparalleled level of personalised service. We believe in open and honest communication with our clients and will communicate with you throughout the entire removal and storage process to ensure that you and your possessions are taken care of. Our team of friendly and professional removalists and storage experts will work closely with you to create a package that is perfect for your requirements and budgetary constraints. Our team will also provide you with on-site assistance to answer any questions you have about the self-storage process. At South Side Storage, we have you and your possessions are covered! 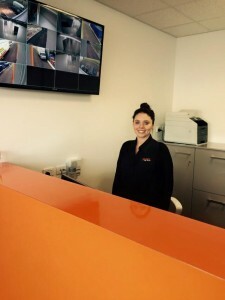 At South Side Storage, we pride ourselves on our unparalleled customer service and the quality of our state of the art self-storage facilities in Forrestdale. Our facilities are camera monitored 24 hours a day, alarmed and protected by security gates. At South Side Storage, we would like to ensure that when you store your possessions with us, you have complete peace of mind. We offer insurance to ensure that no matter what happens, you and your possessions are covered! Please call us on 9498 1666 for more information.